Why is Brooklyn a big winner through the new legislation for Opportunity Zones? Brooklyn is a big winner of this legislation because some of the areas designated as opportunity zones are already attracting attention and significant amounts of capital. These sub-markets include the Gowanus which has seen over $415M in dollar volume thus far in 2018, the area around the Navy Yard that has gotten a lot of institutional attention, as well as portions of Downtown Brooklyn, Greenpoint, and Sunset Park, home to Industry City. How is this capital going to change Brooklyn? The nature of the tax incentive means more patient capital will flow into these areas. The so-called Opportunity Zone capital will have a 10+ year investment horizon, vs. the typical 3-5-year money. The longer hold period will enable the development of more entrepreneurial, innovative and also game-changing projects that require significant patience as the areas around them improve with infrastructure and amenities. Created under The Tax Cuts and Jobs Act of 2017, Opportunity Zones encourage private investment in distressed communities around the United States. The new regime creates certain tax benefits that are available to investors with capital gains, who invest those gains in a Qualified Opportunity Fund (“QOF”), which in turn invests in so-called “qualified opportunity zone property.” Most importantly, the new rules will provide incentives for investors and developers to seek opportunities in low-income and underserved neighborhoods as well. What does an investor need to do to acquire property in an opportunity zone? The ability, after holding a QOF investment interest for 10 years, to elect for the basis of that interest to be equal to its fair market value on the date such interest is sold or exchanged, with the result that an investor will not recognize a gain and will not owe any tax on the sale or exchange of its QOF interest. Are Opportunity Zone guidelines finalized? While the final details of the Opportunity Zone program have not been confirmed, the new provisions are expected to result in a significant influx of capital into real estate located in the newly-designated Opportunity Zones. 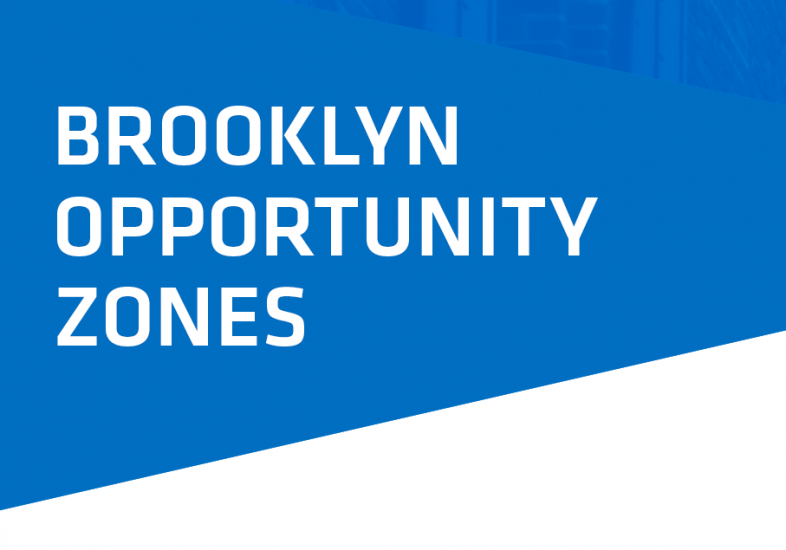 How many opportunity zones can be found throughout Brooklyn? According to 125 Suggested Census Tracts in Brooklyn; that is 24% of New York State’s 514 census tracts. 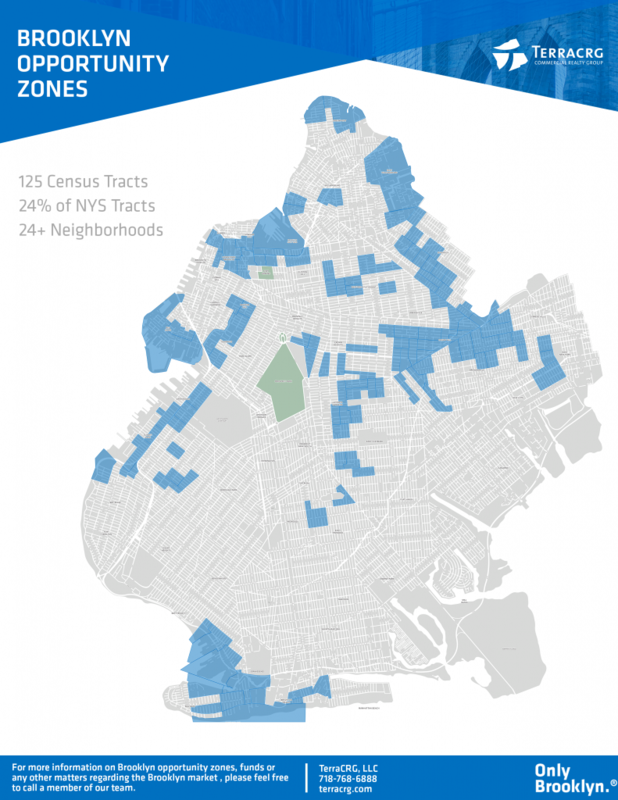 In what Brooklyn neighborhoods can you find Opportunity Zones? How much capital will be flowing into Brooklyn Opportunity Zones? According to our study at TerraCRG, significant capital is going into OZ investments in Brooklyn. We anticipate a boost of an additional one billion dollars of opportunity zone fund capital to flow into these areas in Brooklyn in 2019. This capital will also accelerate the Brooklyn transformation in new and, hopefully, thoughtful ways. To learn more about these specific investment opportunities within these areas in Brooklyn, please feel free to reach out to myself and the TerraCRG investment sales team. Ofer Cohen is the Founder & CEO of TerraCRG, the ‘Only Brooklyn.®’ commercial real estate firm. Ofer founded the company over a decade ago with the vision of catering solely to the most exciting and robust sub-markets in the U.S.
Ofer’s focus on Brooklyn extends beyond business and into philanthropy as well as community service. He serves on the Board of Directors of the Brooklyn Navy Yard, The Brooklyn Hospital Foundation, and the Downtown Brooklyn Partnership, and he is the co-chair of the Brooklyn Chamber of Commerce’s Real Estate Committee. Ofer has recently launched his very own podcast, Hey BK, leading conversations with the people behind the Brooklyn transformation, so be sure to tune in.